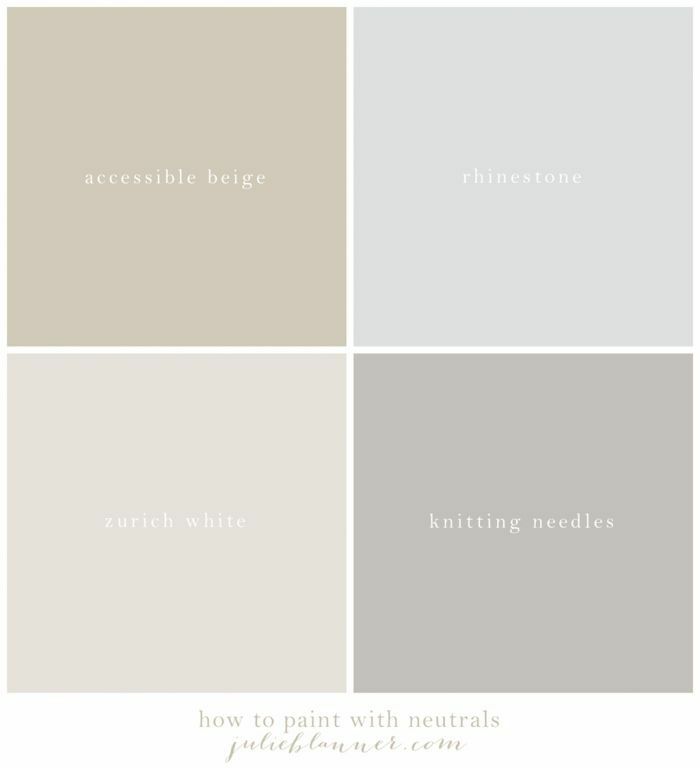 Neutral paint colors for every room. One of the most common questions I am asked are the paint colors we used throughout our home. If you’ve taken a tour of our home, you have noticed that it’s completely neutral, accented with with hints of color and those I share it with. Going into this house, I wanted to blend tans and greys. I couldn’t choose just one color family, and why should I? I have found that they work well together and create a calming neutral color palette. Paint color palettes are best when limited to just 5 colors. It creates a seamless transition from room to room without making a home feel “choppy”. Maintaining a tight color palette also makes touch ups easy – you can actually remember and find the paint colors you need. This is a must with all the sticky little fingers that run around our house! My free printable paint color chart helps, too! Let’s review our neutral paint colors, shall we? In our kitchen, living room, half bath, and mudroom we used Sherwin Williams Rhinestone. It’s soft, light and bright. It has a very slight blue undertone, which works for the clean, fresh feel I wanted for those spaces. The dining room was recently painted Sherwin Williams Accessible Beige. 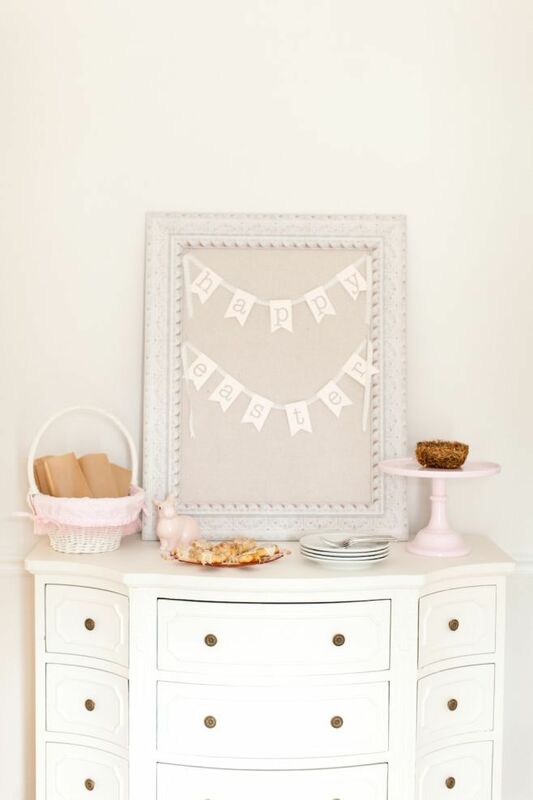 In the entryway/foyer, hallway and bedrooms, I selected Sherwin Williams Zurich White. It’s a warm, soft white that reflects natural light. Our painter has since used this color as his staple, and we have since included it in our new home as well! This photograph, taken by Alea Lovely, is the most indicative of the true color. As you can see from Isla’s nursery, it’s so subtle. We used it in Aniston’s nursery and our master bedroom as well. In all of the full bathrooms, we used Sherwin Williams Knitting Needles. Since then, we’ve had a few friends use it for their living rooms as well. It is truly the PERFECT GREY. I cannot tell a lie. It was used in the basement bathroom, girls’ bathroom and master bathroom. Don’t forget to save this for future use with the easy to pin image! I hope this helps you create warmth & comfort in your home! Click here to see the cream paint palette I used in our new home! You can find my complimentary paint color chart here to keep them all organized! I love the colors you chose for your lovely home. I have a Sherwin Williams paint deck but I can only find Accessible Beige (SW 7036). Do you have the SW numbers for the others? I’m particularly interested in Rhinestone. Gorgeous! I did a search on their site & it says 7656. We love the color in the kitchen, living room, half bath & mudroom. It wasn’t warm enough for our dining room & hearth room – hope that helps! Rhinestone (SW 7656) and Knitting Needles (SW 7672) are both in the Concepts in Color collection. It is a newer collection and does not appear in the main SW fan deck. Great post! Been reading a lot about choosing colors for my home. Thanks for the info here! So pretty! What is the trim color? Same for all of the rooms? Thanks!! Thanks, Allison! I used the basic white – no tint at all. Do you use oil base paint for your trim? Our last painter used semi-gloss and it peeled off in places. And, which SW paint for walls? Satin? Are your ceilings the same paint color as your trim color, true white? Thanks so much for this post. We experience flood damage April 29th and are down to the studs so like building a house again. 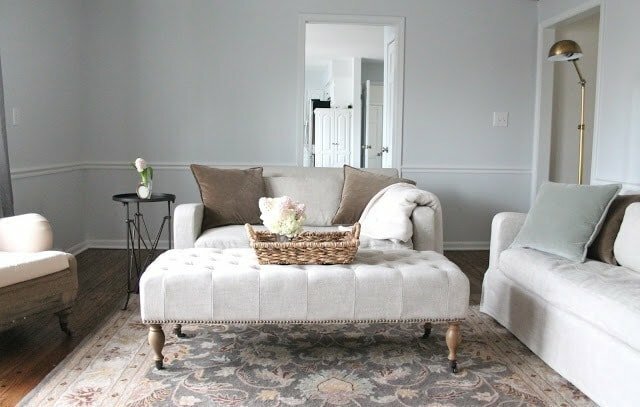 I used Lattice SW7654 for my walls before flood and liked it but liking your two gray variations in color. So sorry to hear about the flood! It’s my understanding that peeling paint is due to the process & not the paint, while oil would adhere slightly better, you probably experienced that because it wasn’t sanded & primed prior to painting. In our current house, I used white straight from the can. In our new house, I’m using Lowe’s ceiling white. Please don’t hesitate if you need anything else! In addition, I have lots of design & decorating ideas, so explore & enjoy! Best wishes! Oh, and eggshell for the walls. Satin is nice for kitchen & baths if you choose to vary it, but I used eggshell throughout. I am using this paint pallet in our new home and it is magnificent! It makes the house feel so light. I am wondering about the area rug in the living room and the chandelier in the dining room. Where did you find them?! I am so particular I feel like I am bound by my pickiness! I’m glad you love it as much as we did! Thank you Julie! I appreciate you! I am redesigning my living room and want to use a neutrals. Did you paint the ceiling the same color as your walls or leave them white? I have very high vaulted ceilings in the living room. I personally like to keep them white in most spaces. I like the contrast & it makes the space feel so light & bright. I am building a new house….foundation up. I love your four neutrals. I am stuck on the kitchen. I want it to be bright. Cabinets are white, and I want to accent with yellow and blue. (think sunflower and royal blue). What color would you make the walls, much less counter tops. I’d select white countertops to help balance the blue. I’d paint the walls blue, in a semi-gloss or eggshell to reflect a little light & accent with yellow. 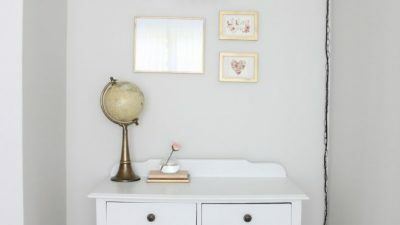 Rethinking…you want to paint the walls neutral or a color? If neutral, I’d go white all the way with lots of pop of color! Brass accents would be amazing! Our trim is dark brown. Would these colors work? Absolutely! It creates a beautiful contrast, Lesa. I love your colors and already have knitting needles and accessible beige in my home. I was searching for the perfect white. I think Zurich is it. Thank you so much for posting. What type of paint did you use? I think you said egg shell but was it Emerald, Harmony or something else? Sherwin-Williams doesn’t care the tuxedo we used last time. I usually use Sherwin Williams Pro Classic or Cashmere or Valspar Signature from Lowe’s. I don’t care for the Emerald…it doesn’t apply as well as I had hoped. Hi, Julie! I just needed to stop and thank you for this post. I found it one day after reading a “how to pick paint” ebook and one day before having to choose the colors for my new house. We went with zurich white in the bedrooms/closets and accessible beige in the entire common area, with white trim, ceilings and doors. I’ve gotten NOTHING but compliments. It turned out beyond great! Thank you so much for sharing your pictures and choices…it was a huge help to this painting/decorating novice! Thank you SO much for taking the time to share! I’m so glad you found it helpful & love your new color palette! Love the look of the kitchen! What color white did you use for the cabinets? SW untinted – it doesn’t get easier than that, does it Carly! These colors look so beautiful with all your white trim. I have to wonder how they would look with all the dark oak I have in my home. I used Zurich White again in our new home, which has a lot of dark trim and love it! Soft Chamois is my new favorite. 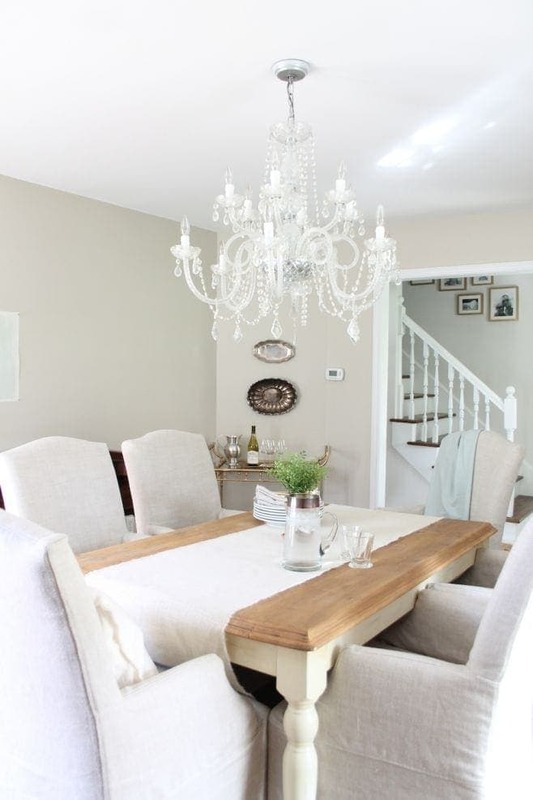 Love this post, the neutral colors, the accessible beige and Zurich white, but most especially the dining room floor. It all would be lovely in my new house. Can you tell me about the floor please? 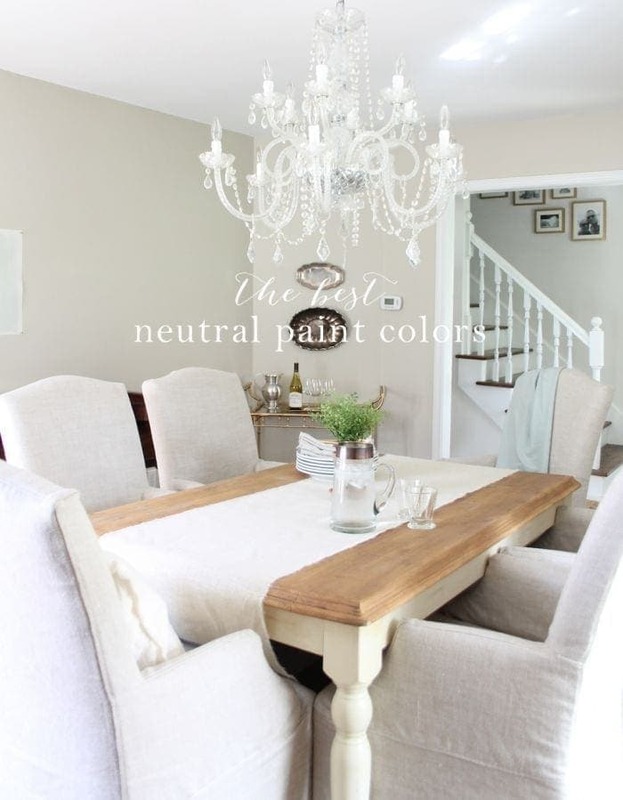 Love your post and the neutrals you’ve used! What do you think of Rhinestone or First Star for the main parts (kitchen, hallways, staircase, upstairs family room) of the house? It’s a toss up for me for both. The other choice of color I’d use for the bathrooms. Thinking Big Chill for the living room. What about bedrooms? For some background, the hardwoods floors are dark reddish brown and kitchen cabinets are dark brown. Thanks in advance! Great post! Was wondering if you could give me some advice? I’m looking at creating a similar neutral palette using sherwin williams paint colors rhinestone, big chill and first star. I was thinking to have rhinestone in the entrance, hallways and kitchen and upstairs washrooms; big chill in the living and first star in the bedrooms and main floor half bath and laundry room. What are your thoughts? My concern is if big chill would look choppy again rhinestone? Any suggestions? I don’t think it will look choppy at all, I love using varying shades to add depth and definition to spaces. However, I’d use the warmest of them in your bedrooms. Love your post and colors used. I love your dining room chairs and wonder if they are still available. Are they a neutral linen? They’re Restoration Hardware in Belgian Linen sand and are still available. I still adore them. Hi! I am painting my entire 1st floor and its all an open floor plan. When you stand at the beginning of the kitchen you can see into the dining room (which is connected to kitchen-which I will probably paint the same as kitchen) you can also see into the living room. I am having trouble deciding where to put the colors used in your palette? I am afraid it will look choppy since you can see both rooms and then some hallway areas? can I send you a pic of my layout? I am also loving SW 7031 Mega Greige!! I would pick a color you love and then go one above or below on the color palette for the other room. Painting one room a darker color will give your home depth while still making it feel cohesive. What color did you use for all the trim work ? Sherwin Williams Solo 200 untinted. Hello, I love this paint palette and am planning on using similar colors for a home we recently bought…what color(s) did you use for your ceilings and trim? Untinted SW Solo in semi-gloss for trim and flat for ceiling. Enjoy! Your home is beautiful. I painted my boys’ bathroom knitting needles and love it. I would like to paint our master bath knitting needles as well. 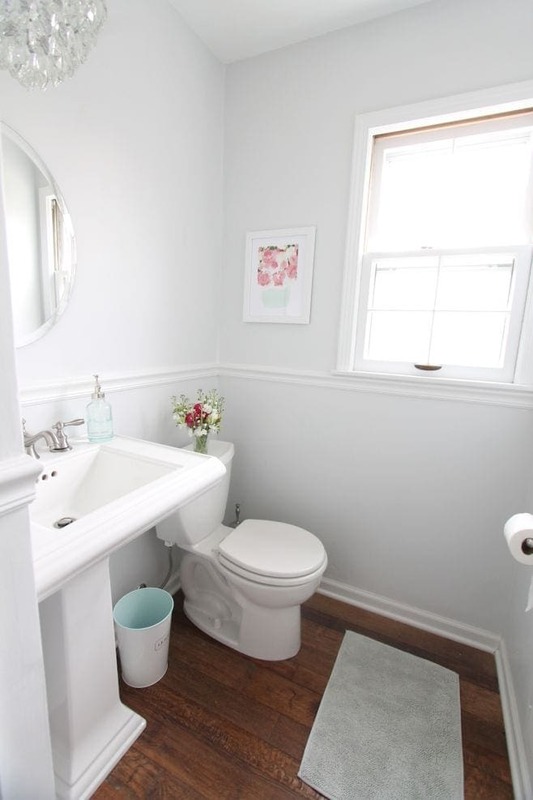 Is that too much having both bathrooms the same color? Also, what would be a good coordinating color for our master bedroom. I painted my son’s room silvermist and out hallways and living room/kitchen/foyer are all beige. Any ideas would really be helpful! I would move down the color card 2 shades – I love something soft for the bedroom. I want to paint my living room. The rooms that join it are light beige. I have a huge fireplace in th LR and it is painted white. I love grey but not sure that would look good with the other rooms beige. What would you do? I’d consider Zurich White – it’s a mix of cream which would work with the beige, but has some grey tones to it. I have used it a lot in our new home – check out my fall tour post to see the living room and see what you think. I think it could be pretty! Hi Julie! Thanks so much for your post! Question…I am building a new home and because of my budget I can only pick one paint color for the whole first floor, walls and ceilings. It’s an open floor plan, lots of natural light with 9ft ceilings. I’ll have white semi-gloss crown molding and trim throughout. For my color I’m thinking Zurich White. Do you think if it’s on the ceiling it’ll darken the space or does it do well brightening a room? 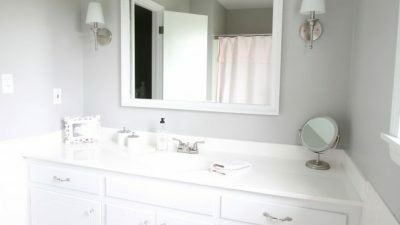 I’m having white cabinets and carrara marble in the kitchen and bathrooms so I feel like the gray tones would work well. Just stressing about the ceilings! I think it would be gorgeous! Why the same color for the ceiling? My contractor told me that it would simply be more expensive for the painter to do the ceiling in a different color (even if that means just white). He’s just going to spray throughout I think. I would be okay with spending a little more to have it white but if you think that the Zurich white will look nice on the ceiling I’d be happier using the extra money elsewhere. If they are painting the trim a different color, I’m not sure how another color would effect the price.i just want you to be head over heels in love with it. Did you ever use it ? Julie, I love your colors! I have a delima, I am painting the entire house. When you walk in my front door the kitchen, dining room & hall can be seen. If you take a few steps then the family room can be seen & it has a corner fireplace that is currently painted white w/a tv above. All trim & crown molding & ceilings are white. Kitchen cabinets are oak & floors are a dark oak. I do not have a lot of natural light. What should I use? If it were me, I’d use Benjamin Moore Soft Chamois in eggshell (to slightly reflect). It works well with oak, feels warm, but not too yellow. See my post “cream paint colors” and “7 ways to add light” for examples and more ideas. Enjoy! Julie will the Soft Chamois (I do not want yellow) be good for all rooms even bedrooms? I definitely need light. I can’t find your post on 7 ways to add light please direct me. Absolutely! It’s beautiful in various light settings and has great undertones. It would definitely add light to your home. Julie I’m sorry more questions. Would you go with paint colors from your 1st home or 2nd the cream paint colors. I did find your 7 tips for adding more light. It’s just I’m nervous we have painted this house a lot & can’t find what looks good. But we have done Sherwin Williams Coconut so I don’t want anything with yellow, sorry. It’s personal preference, but given what you’ve described, that’s what I would do. Is it considered alright to paint your entire house the same color? No varience at all? If I wanted to use a 2nd color what would be your suggestion? As you can see I am terrified to make a decisions here. Sorry! Absolutely! If you’re really scared, do the second color one shade darker or lighter, it works like a charm! Wow, your colors really inspired me. So i bought sherwin williams superpaint zurich white for the bedroom and rhinestone for the bathroom. Omg turned out beautiful. Decided to paint the rest of the house and ran into a ton of complications and personal prefernces. Wow picking a color is not easy. Realized my house does not do good with warm colors or it could have been the type of paint i used. I thought the ballet white would have been beautiful for my dark home but i think the type of paint i used didnt pickup the pigment correctly. I had used bm natura and sw emerald. Both produced terrible results. So will continue with new color edgecomb gray (turned out good used bm regal for main area. After much complications i finally decided to use sw rhinestone and zurich white in the kithen and other bedroom, respectively. Since i had excellent results with sw superpaint i’ll stick with that. That was before i thoroughly read your blog realizinng that certain paints do not produce good color. I was able to return the bm natura which was really difficult to apply and paint was horribly ugly. I also was able to return sw emerald which looked horrible as well. I didnt know that the paint you select for your color does make a difference. Both paints were supposedly highend. Wish i would have read your whole blog prior to this project. I love your colors and your appreciate all of your advice. You know your colors. ???? I’m so sorry for your frustration, but glad you found a couple of colors here that you love! I love the super paint and proclassic. They seem to apply the best and be relatively easy to wipe clean. Hope you enjoy your freshly painted home! Your neutral palette has inspired me to paint the two apartment I’m moving into. I’m using PPG brand paints. The colors I’m using are similar to what you have here. I’ll be using Aria PPG1001-02 in the kitchen and living room. Fall Chill PPG1003-1 in the dining room. In the bedroom, closets, hallway and office I’m going to use Silver Feather PPG 1002-1, and in the bathroom I’ll use Thin Ice PPG1001-3. I’m using Delicate White PPG1001-1 on the ceilings, doors, and trim. I’ve always liked PPG and I think these colors will generate a similar effect to what you have. I think these colors are a bit less contrasting compared to yours though. Please let me know what you think. They all sound so beautiful! Hope you enjoy your new home! 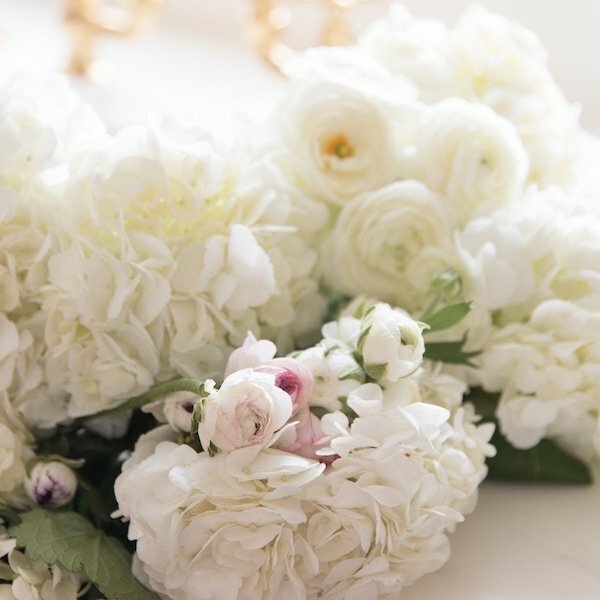 I just love everything about your style and this post on your neutral colors. We are moving into our first home which has the 90’s oak cabinets. My first project will be to paint walls. We are hoping to spend our update money elsewhere rather than on painting the cabinets at this time. I was hoping to do a very light gray on the walls on the entire first floor, however, after reading this post and your post about how you updated your oak cabinets without painting, I’m thinking that may make them look out of place. Would Zurich White be too cool undertoned for this? The cabinets themselves do have more of an orange undertone. If so, is there another color you would recommend instead that is similar? I am struggling because I would like to paint the cabinets down the road but also want a color I can live with without doing that for a few years. Hi Sam! I think Zürich white will be a happy medium for you! Enjoy your new home ! Hi Julie, after I complained to a friend who does decorating about my house seeming too dark, she recommended “Chantilly Lace” by Benjamin Moore. I bought a gallon (almost $50.00) and now I have cold feet about using it. Are you familiar with this color? If so, what do you think about it? My house has tons of windows, but I live in a very wooded area and that makes it seem dark inside my house. Thank you for your opinion. A lot of people really love it, but it feels a little cool (blue undertone) for me. Paint a little on a wall and see how it looks morning, noon and night to make an educated decision of how it feels to you in your home. Hi! I want to paint my living área. It has no windows and its so small!!! I need your help to choose the right color please!!! I’d do Farrow and Ball White Tie of Benjamin Moore Soft Chamois – see my paint colors in action on the side bar for examples. Best wishes! 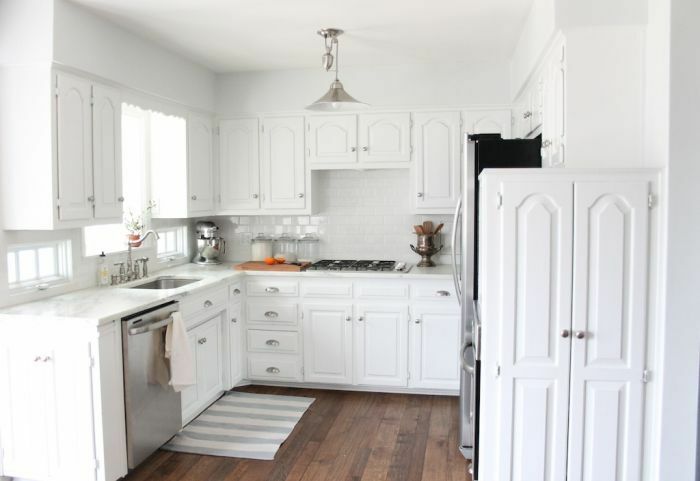 Did you use white hinges on your cabinets? I have white cabinets similar to yours with exposed hinges. I would like to exchange the hardware without going to the expense of European hinges. Thanks! For that kitchen I used inexpensive white hardware store hinges and they seemingly disappeared! Hey Julie! 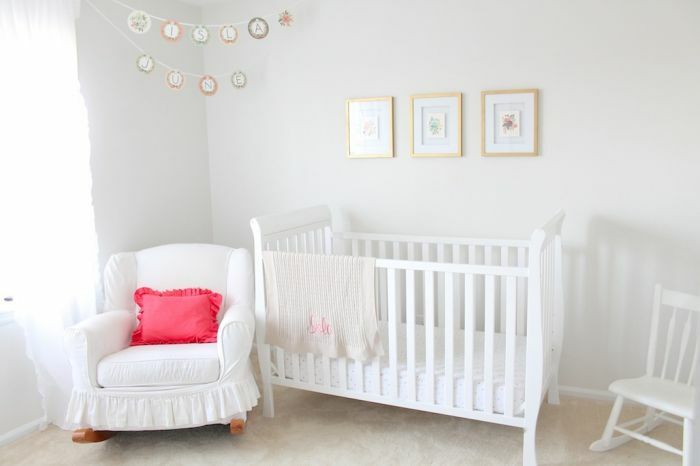 I have twin baby girls and I’m in the process of painting and decorating their nursery! I am going with pink, gray and white theme. I like the knitting needles paint that you suggested. I was thinking of painting 3 walls in the knitting needles gray color, and one accent wall a soft pink. 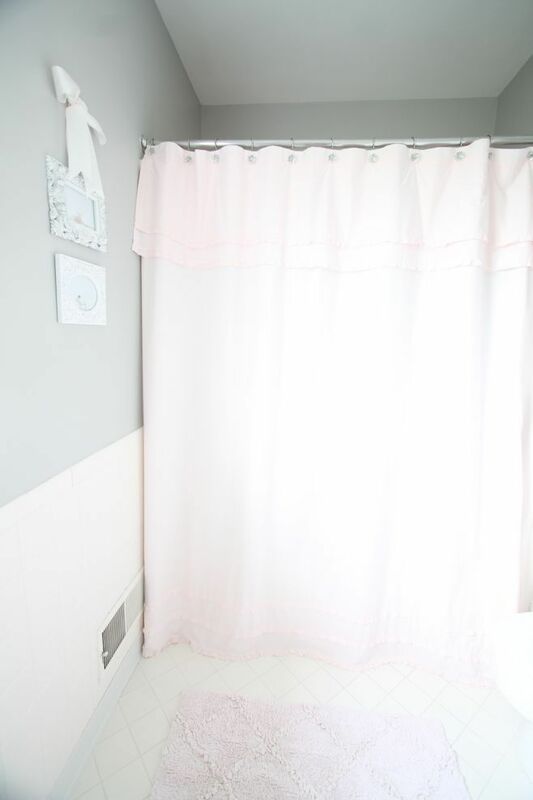 Do you have any soft pink paint colors you would suggest? Soft Chamois is a very safe bet. Your employer will love it!